HI, WELCOME TO VENICE TEMPLATE PAGE. If you follow the instructions, you’ll end up with a design that resembles the demo. I recommend having the demo opened in a different tab and use it as a reference. Please, use the support form here to get priority over my regular email. – Sidebar visibility corrected on the Layout section to avoid confusions. IMPORTANT! 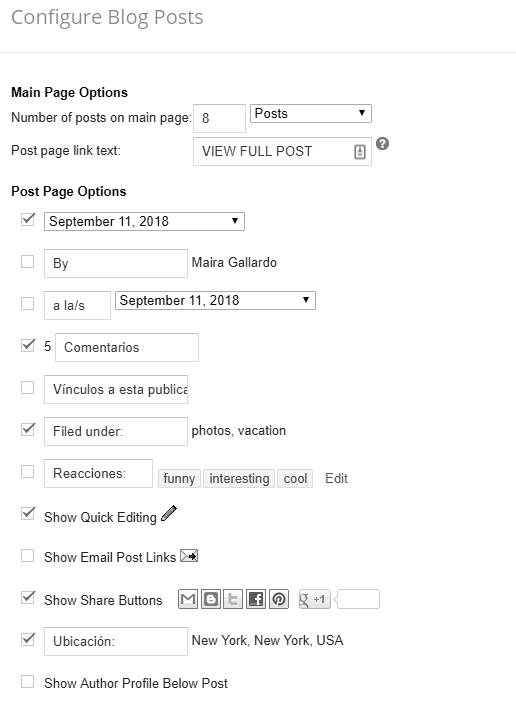 Before doing the installation please delete the FEATURED POST gadget from the LAYOUT section (if you have one installed) and remove all the gadgets from the SIDEBAR if your current template has one enabled. If you don’t want to delete a gadget place it below the Blog Post area until you find a new place for it. Keep in mind that this template doesn’t have a sidebar section. How to install the .xml file. Go to LAYOUT > MENU > EDIT. In the NEW SITE NAME field, add the title that will appear on the menu (ie. HOME). In the NEW SITE URL field, add the page URL, don’t forget to add the HTTP:// or HTTPS:// prefix. Click on ADD LINK. 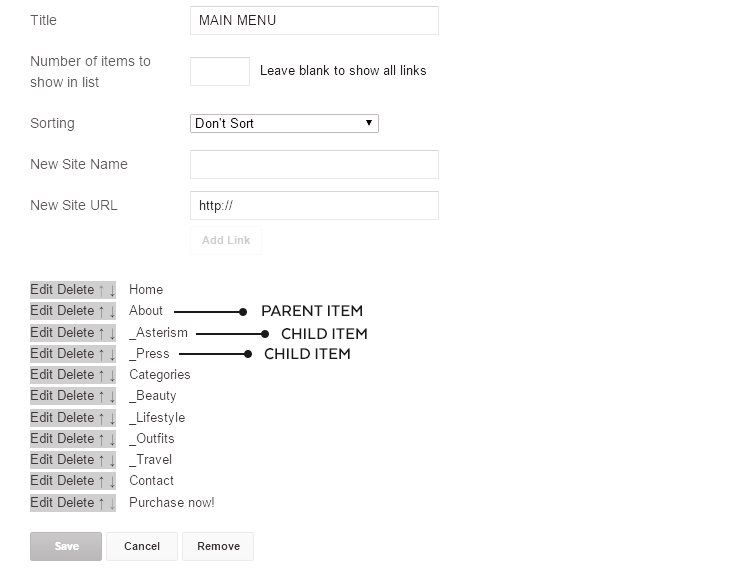 You can also add grandchildren items by adding two underscores before the link title (ie. __Fashion), and placing this item below a children link. When you’re happy with the end result, SAVE changes. Open the ABOUT IMAGE gadget and upload your image. Add your text in the Caption area and link to your About page. SAVE. Open the SOCIAL ICONS gadget, add your social network name and link, click the ADD LINK button and repeat with each social icon you need. 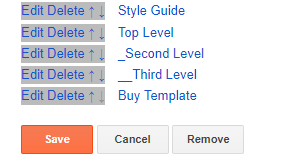 Use the arrows to rearrange the icons order and SAVE. Open the INSTAGRAM gadget and paste the code. To get your CLIENT ID and ACCESS TOKEN, go to this page while you are logged into your Instagram account (desktop version). Click on “Generate Access Token”, carefully replace the ACCESS TOKEN and CLIENT ID in the previous code with your own values. The CLIENT ID is made by the first set of numbers of the token until the first dot(.). Also, add your Instagram account link and username. SAVE. 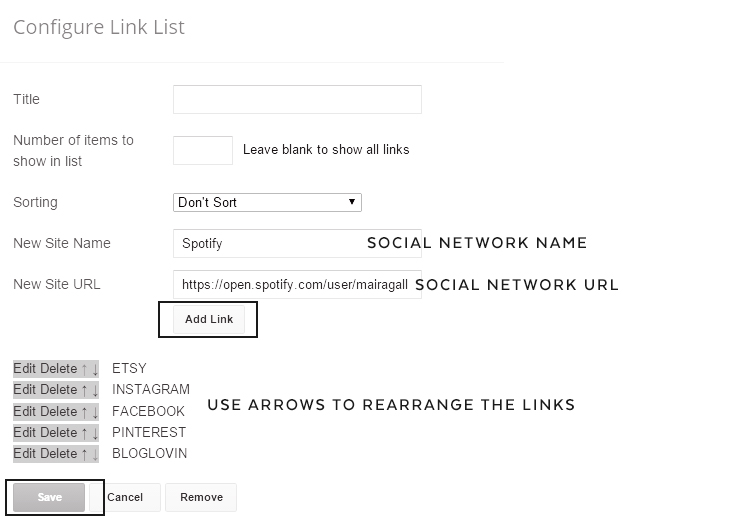 Open the MAILCHIMP TEXT gadget and edit the title and text as you like. SAVE. Add your FORM ACTION and SAVE. Go to THEME > CUSTOMIZE. Select ADVANCED and change the colors and fonts in each option. Please, note that font changes can’t be reversed, make sure you’re happy with the end result before saving changes. Go to THEME > Click on the Mobile options. Select “No. Show desktop template on mobile devices.” and SAVE. This is most likely caused by the Featured Post gadget. Blogger allows one of these gadgets per blog and since the new template will install its own gadget you will see an error message if you already have one. 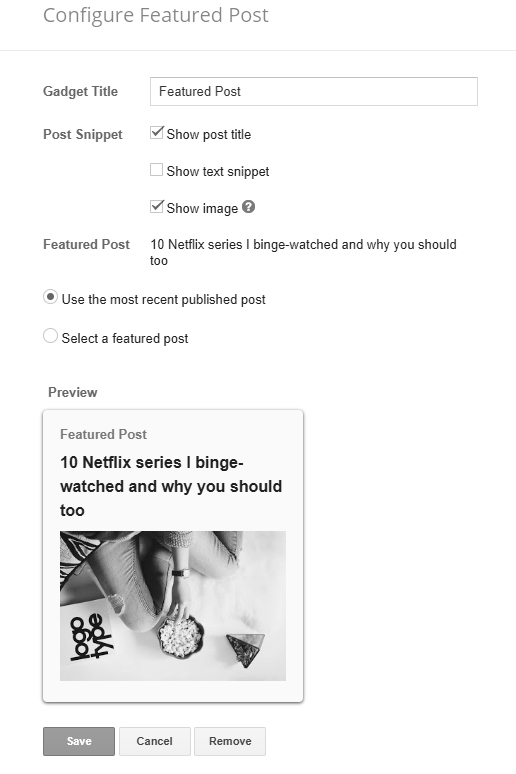 The solution is to delete the Featured Post gadget in the Layout section before uploading the new template. The header image supports retina display so to prevent blurriness create your header at 600px wide and 150px high, make the content reach both sides so no empty space is left. Once uploaded it will display at half the size and perfectly sharp.